Between 2004 to 2009 I worked closely with Myriad Books of London to produce seventeen hard and soft back regional landscape books covering both Yorkshire and East Anglia. Sadly though, their eagerness to continue to use existing images in new titles meant we eventually parted company. I still have a variety of these in stock and they are available for sale. 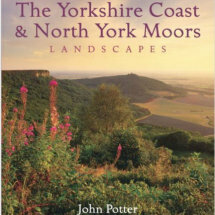 For book sales direct from John please check he has the title in stock before ordering. Many of the titles are available from Amazon also.